An internationally known researcher and educator in industrial water chemistry and hydrometallurgy, Vlad is currently engaged in work focussed on low energy desalination technologies, and the recovery of base metals from tailings and metallurgical slags. He is the author of over 140 refereed journal publications, 3 books, and 22 industry reports. He holds a patent for a process to extract residual base metals from furnace slags. 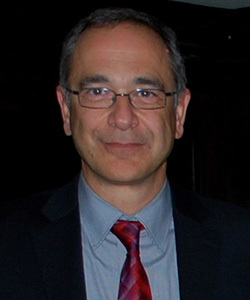 He is a recipient of the Canadian Metal Chemistry Award, a Fellow of the Canadian Academy of Engineering, and Fellow of the Canadian Institute of Mining, Metallurgy, and Petroleum. 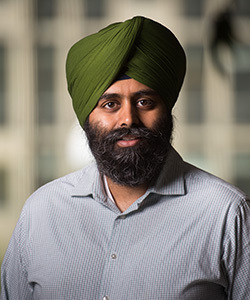 Mandeep leads the Institute’s promotional efforts, and engagement with potential industry partners. He has held communications and marketing roles at Eco-Tec, a local water treatment equipment manufacturer, and Avalon Advanced Materials, a mineral development company with a primary focus on rare metals and minerals.